Remember my previous post about Package From Santa? 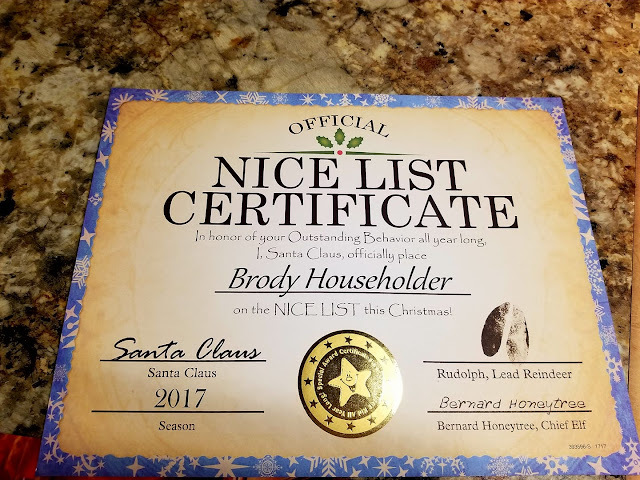 Well...Brody finally received his from Santa! 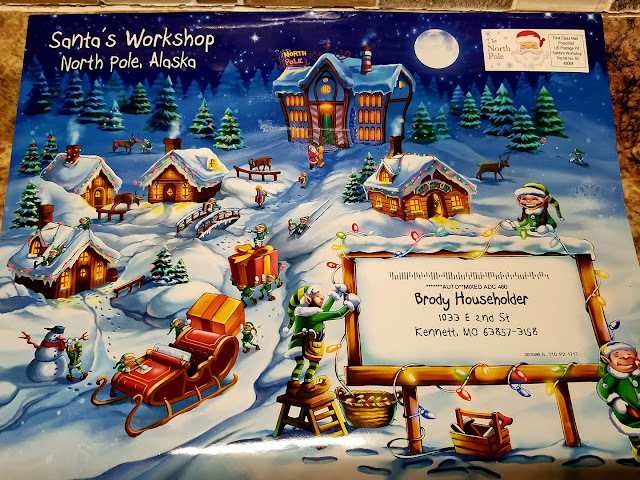 This personalized package came in a very nice decorative envelope, that came in a colorful envelope, stamped from the North Pole and addressed, personally, to Brody. 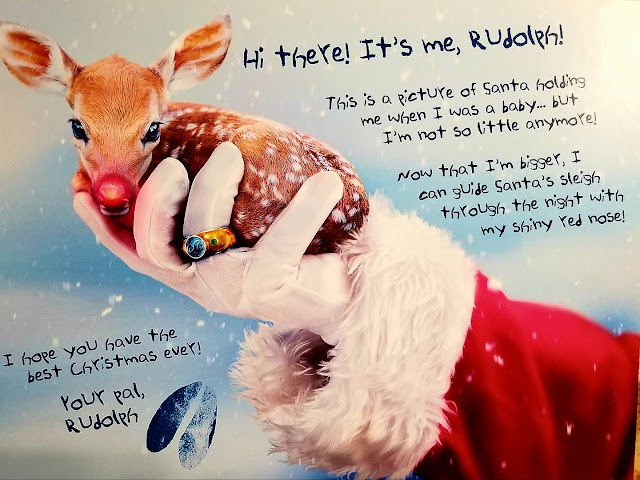 Although Brody is only 1 year old and doesn't really understand the whole Santa thing yet, he did love seeing the photograph from Rudolph, where Santa was holding him when he was just a baby. This was one of the cutest pictures of Rudolph I've seen and love that Santa was holding him in his white gloved hand. Brody also received a Nice List Certificate and a personal letter from Santa. I loved how detailed and personalized this letter was...even down to Brody loving pickles and feeding them to his puppy dogs! 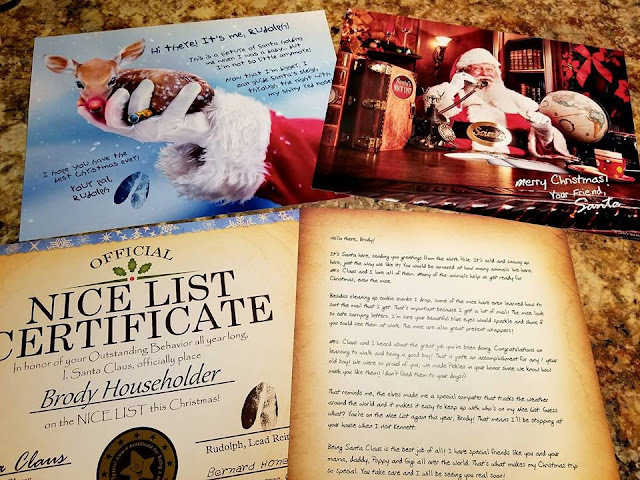 I think I loved this more because of how personalized the letter was and when you create your own Santa Package, you can personalize yours...right down to the specifics, with several letter options to choose from. 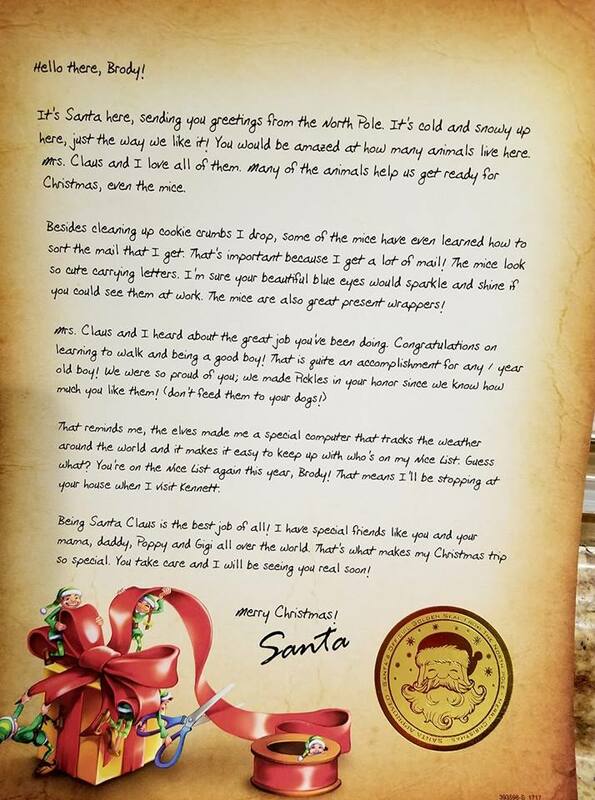 BUT...the best thing for me (and for Brody) was the personalized video and Santa Calls. I can't tell you how many times I've watched Brody's personalized video. It still amazes me and Brody loved seeing his picture up on the Nice Wall! You can also choose from several Santa Call options, geared toward your child. Not only can you choose the Santa Call that you like, but you can also have the call scheduled to call on a certain day and time. How cool is that? And, if you ever miss Santa's call...don't worry, it automatically goes to a mailbox, to where you can listen to it. Afraid you may miss a call and not sure what time you will be available for Santa? 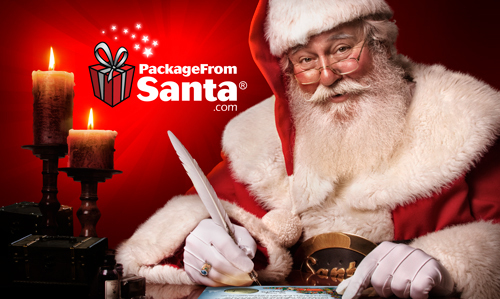 You can go to your Santa Package and click on "Call Now". It's that easy. This was truly and awesome experience and if your child is older, he or she, will enjoy it even more! ***I received a complimentary product, in exchange, for my honest and unbiased review. All opinions expressed, are 100% my own.